Who says you have to go to the West Coast for a dude ranch vacation? Technically, a dude ranch is only considered a dude ranch if it’s located west of the Mississippi. But we’ve decided to buck tradition and bring more ranches into our herd of favorites. 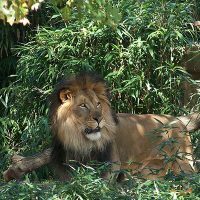 There are several dude ranches on the East Coast, all with fabulous horseback riding programs and activities, petting zoos, pools, campfires, family-style meals, and all the traditional experiences you’d expect on a dude ranch family vacation. Bonus: Many of them are all-inclusive! Here, six East Coast dude ranches you never knew existed. Under new management, Pine Ridge Dude Ranch is a perfect dude ranch for families of all sizes, ages and equestrian levels. This all-inclusive, year-round dude ranch in the foothills of the Catskill Mountains includes one horseback trail ride or pony ride for every person in your room; all meals are included; and there are s ton of other activities for families to enjoy. 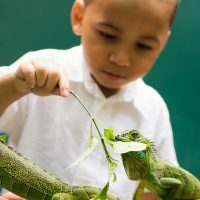 There is a petting zoo, fishing pond, kids’ club, indoor and outdoor pools with waterslides, a climbing wall, daily activities, additional horsemanship programs, and so much more. Pine Ridge is like summer camp for families and does not disappoint. 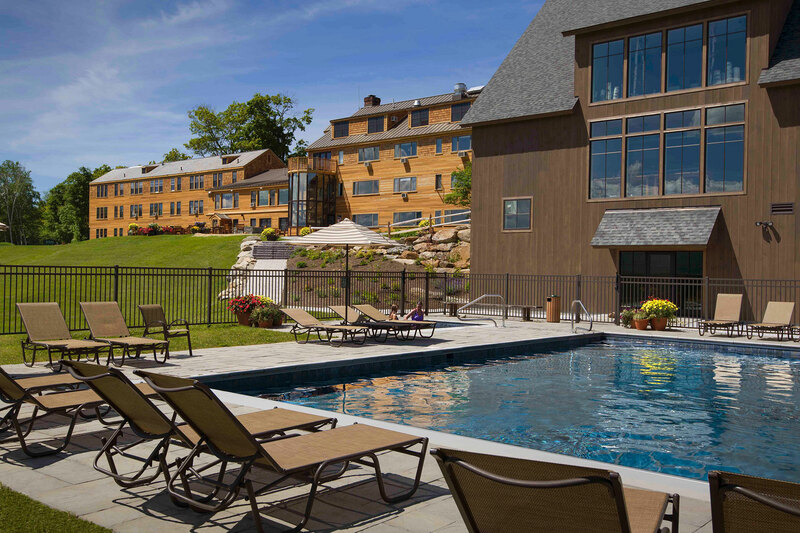 Located less than 11 miles from Killington, Mountain Top Inn is situated on 700 private acres of woods and meadow offering mountain and lake views. Open year-round, this East Coast dude ranch features an outdoor pool, kayaking and pontoon boating on the lake, fishing, clay shooting, golf, and sand volleyball in the warmer months. In the colder months there is hiking, snowshoeing, ice skating and snowmobiling. And that is in addition to all of the horseback riding programs. Mountain Top is the only Vermont resort that offers a full equestrian program. 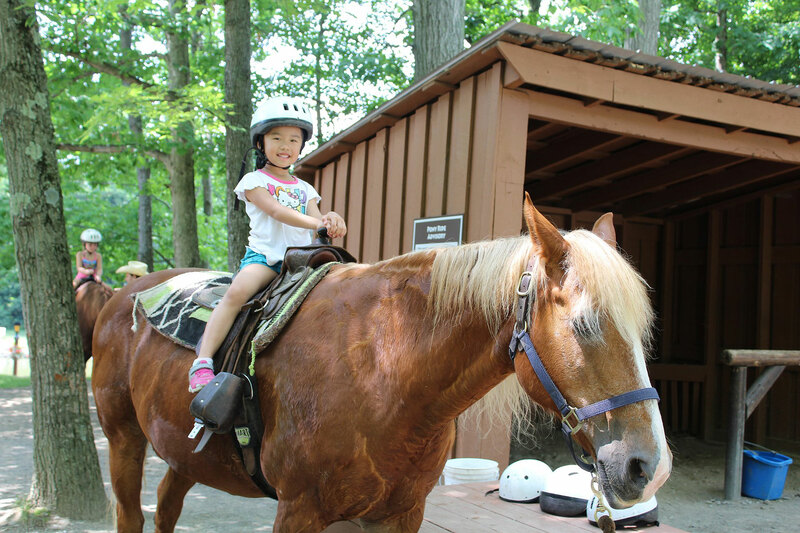 The Equestrian Center is open from Memorial Day through October. There are 40 miles of trails, pony rides, and English and Western saddles. All skill levels are welcome, and lessons and children’s camps are available, too. With a full-service spa and guest houses (some with as many as seven bedrooms), this East Coast dude ranch is ideal for families looking for a luxury retreat among nature. 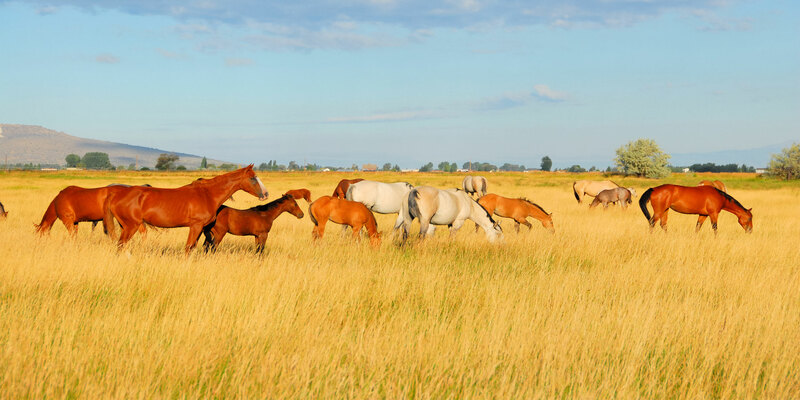 Trail rides for all horseback riding levels, horse-drawn wagon or sleigh rides, pony rides and horseback riding demonstrations are some of the equestrian activities at this East Coast dude ranch. Rocking Horse Ranch Resort is an all-inclusive, year-round dude ranch that offers much more than horseback riding. There is an indoor water park, mini bowling, soft play structures, a kids’ club, outdoor mountain tubing (in the winter and summer! ), water sports, gardens, bungee jumpers, mini golf and much more. With the daily family activities and nightly live entertainment, the kids will never get bored here. Located in the Adirondack Mountains of New York, Ridin-Hy Ranch Resort keeps things simple. Since 1940, this East Coast dude ranch has been welcoming families to its more than 700 acres of scenic trails and well-trained ranch horses. 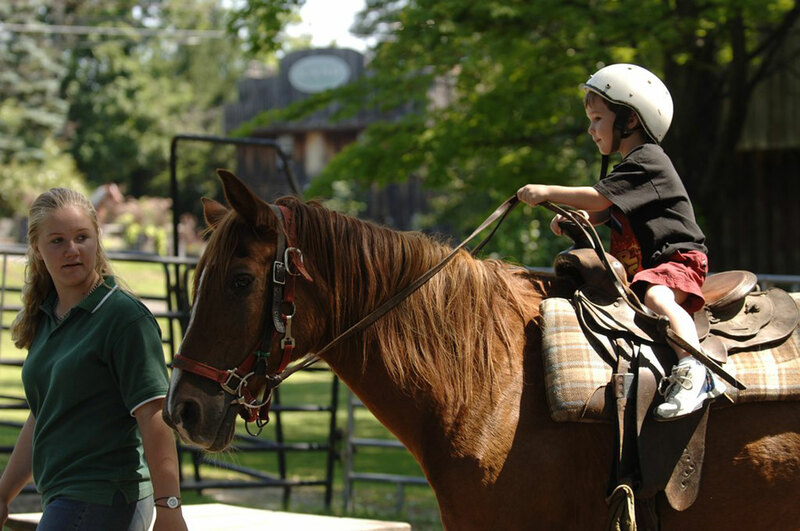 Families can enjoy trail rides, pony rides, old-fashioned rodeos, hayrides, wagon and horse-drawn sleigh rides and more. 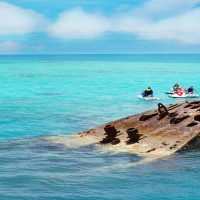 Plus there are banana boat rides, kayaking, water skiing, beachside campfires, an indoor pool, fishing, archery and more in the warmer months. Skiing, snowmobiling, snow tubing, ice skating and ice fishing are a few of the winter activities too. The cabins are simple, but can accommodate families of five or more, and are all within walking distance to the beach, pool, horses and main lodge. 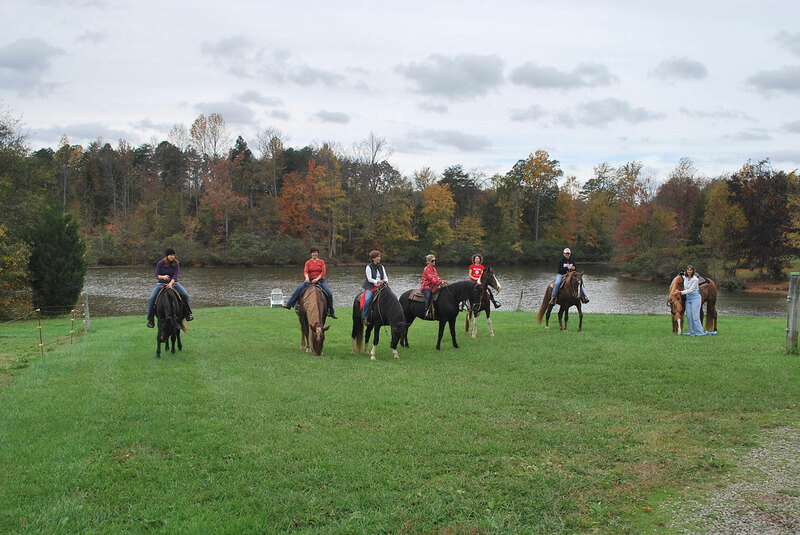 Located about two hours south of Roanoke and near the border of North Carolina, Shangrila Guest Ranch offers all-inclusive packages, hourly and day-long trail rides, and is open year-round. This East Coast dude ranch is great for all equestrian skill levels and all horseback riding is covered in the all-inclusive packages. When the family isn’t horseback riding, there are wagon rides, ducks and chickens to feed, fishing, and campfires. 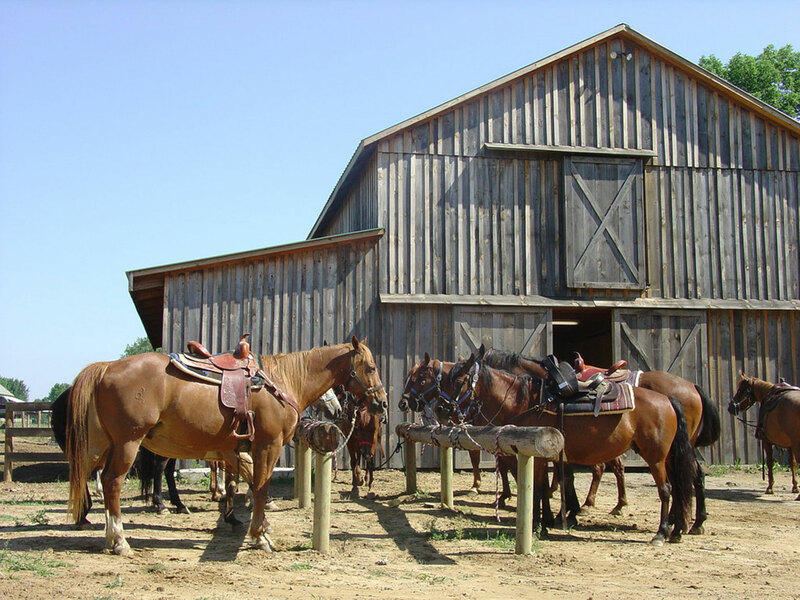 This smaller, working ranch is situated a little more than an hour from Columbus and offers tons of hands-on horse experience. Along with trail rides across 800 acres, guests will learn how the horses are trained, groomed, cared for and saddled. KD Guest Ranch allows each guest to work with their own horse throughout the stay, too. While there are lots of other activities like tractor rides, berry picking, fishing, swimming and more, this dude ranch definitely centers on the horses. 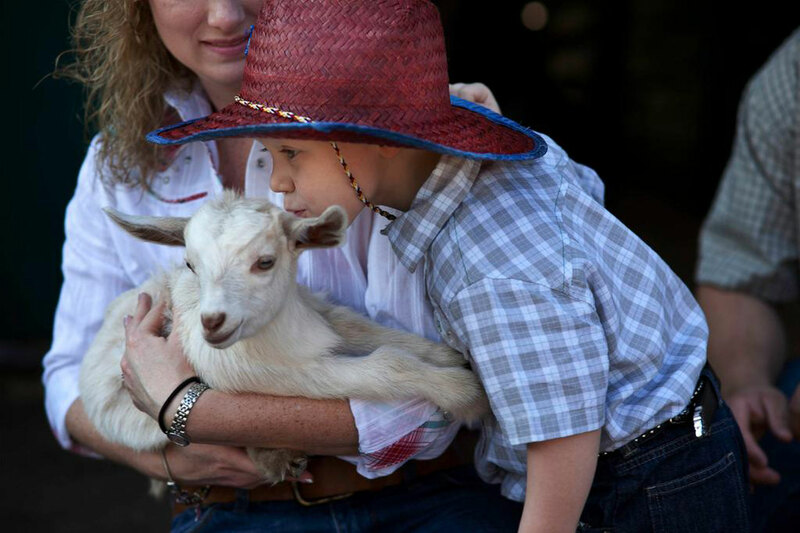 Located just one hour south of Orlando, the Westgate River Ranch Resort & Rodeo offers families tons of cowboy-themed activities and accommodations. Families can “glamp” in luxury tents with air conditioning and comfy beds or sleep in a luxury teepee that features a stone fireplace, leather couches, beds and a full bathroom. 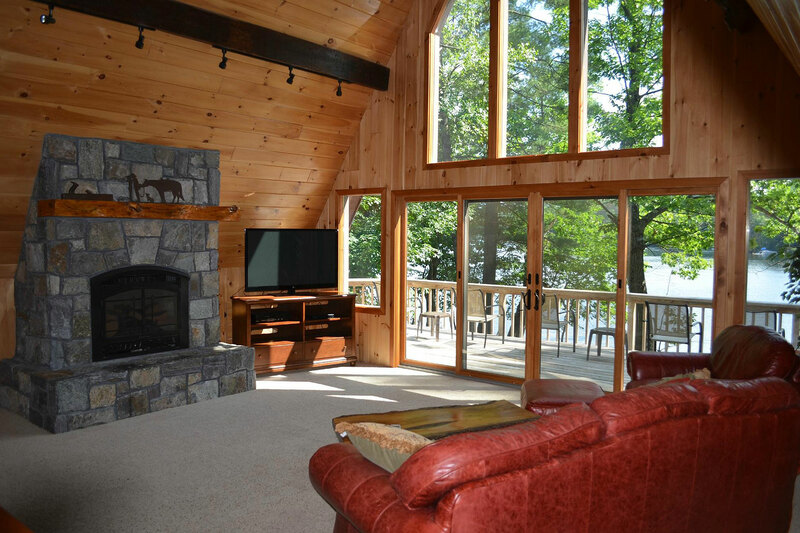 Or stay in a lodge guestroom, suite, or two-bedroom cabin or cottage. There’s also RV parking or personal pop-up tent campgrounds. There are even more activities to try compared to accommodation types! Kids will love to horseback and pony ride while visiting the dude ranch, but archery, airboat rides, fishing, mini-golf, the pool, swamp buggy rides and ziplining will fill your days when staying at Westgate. And we can’t forget the rodeo! Families will love the Saturday night show where the cowboys show off their trick riding and barrel racing.